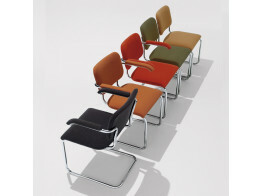 Après Furniture have a wide selection of versatile visitors and conference chairs for you to choose from. With over twenty two years experience in selecting the best visitors and conference chair solutions, UK businesses rely on us to provide them with modern seating solutions for their offices, hotels, conference environments, schools and more. Depending on the model, our visitors and conference chairs provide solutions for many applications such as guest chairs at your desk, waiting and reception areas, providing lightweight stylish seating. 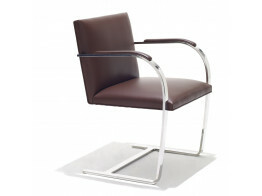 You can choosevisitors and conference chairs with various styles and finishes including wooden, metal, mesh back, high back, plastic, leather and upholstered visitors chairs, as well as bases such as cantilever, four-legged and sled base visitor seating. Some of our visitor and conference chairs provide ergonomic lumbar support as well as lockable castor wheels for convenience and movement. Many have the ability to link a number of chairs for linear arrangements, providing an organised structure to the areas they reside. Many of our multi-purpose visitor and conference chairs are lightweight and stackable chairs, offering efficient storage and facilitating easier distribution (especially useful for short-notice meetings). Our stackable conference chairs can be stacked up 20-25 chairs high from the floor, and up to 40-45 chairs high when placed into a transport dolly (depending on the model). Not only does this save valuable space, it provides a much easier way of moving and storing these lightweight visitor chairs. 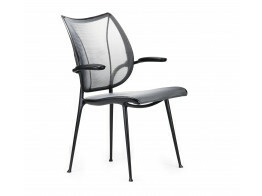 Visitors and conference chairs are perfect for a range of meetings, informal meeting areas and training settings. We can also provide guest and conference chairs with integrated tablet surfaces. This allows note-taking to be performed without the need for an additional table surface which is highly efficient; chairs designed with space and budget taken into account. Ourvisitor and conference chairs are designed with multi-purpose environments in mind. We only source from Europe's leading manufacturers, so you can be certain you are receiving the highest quality and value for money. 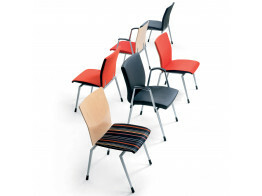 With so many designs to choose from we are confident you will find the rightvisitor and conference chairs for your company for one or more applications. 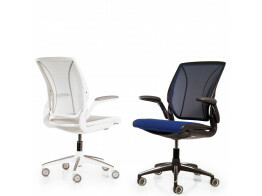 Diffrient World Office Task Chairs are ergonomic mesh back chairs with intuitive automatic balanced support. 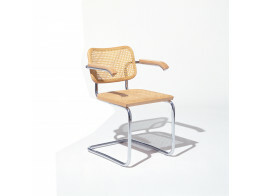 Ahrend 330 Chair is characterised by the soldered mitre joints in the frame. 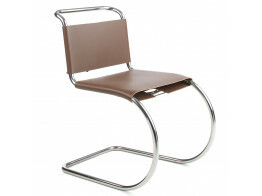 Tubular Brno Cantilever Chair is meeting seating for conferences. Made with Spinneybeck leather available in 500 colours. 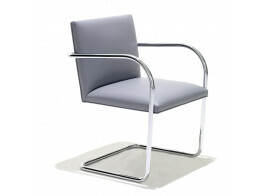 Mr Chair is a cantilever seat great for reception areas, lobbies and as a visitors chair.